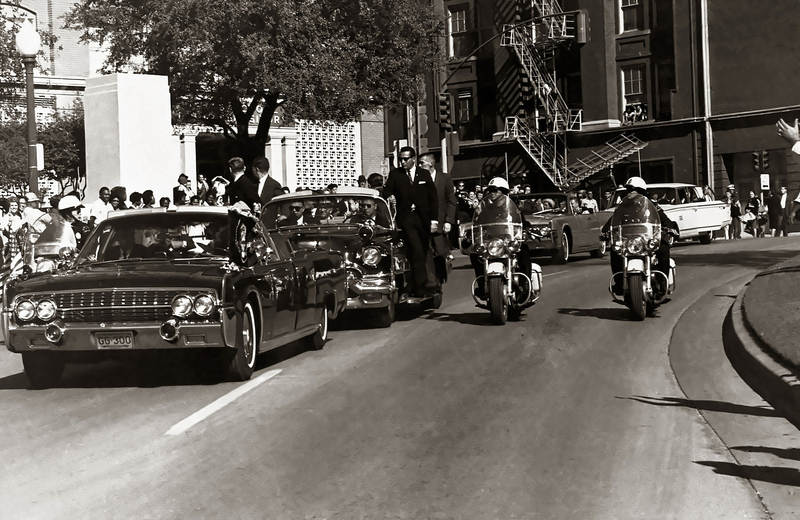 The Devil’s Motorcade: Will new footage of ‘second shooter’ reveal who killed JFK? – From the 1957 motion picture, Curse of the Demon. Will the conspiracy behind JFK’s assassination be revealed, or is this just another puzzle piece that will come up empty? According to reports, it is alleged that Hollywood producer and real-estate developer named Stephen Bowen owns unreleased footage depicting a “second shooter” on that fateful day in Dallas, November 22nd 1963. Bowen is said to have acquired the ‘second shooter footage’ from a local news producer in Houston who has owned it for more than four decades. Is this the breakthrough the public deserves, in arguably the most well-known criminal act to have taken place in the last century, next to 9/11? The Gersh Agency is representing Bowen and they’ve arranged for a private screening of the previously unreleased footage for major news networks and other parties this coming week in Los Angeles, its said that CNN, Fox News and Reuters will be attendance. It’s hard to believe that private parties commingling with major media outlets will be responsible with this newly uncovered footage. The Gersh Agency has been around since the golden years of Hollywood and are deeply entrenched in the picture world. What will come of this new JFK shooting footage, as it is certain to be subject to the heavy hands of media giants before its sees the light of day? IMAGE: Associated Press Photographer James Altgens. A Hollywood producer believes the footage may support John Kerry and Robert F. Kennedy Jr.’s comments doubting that Lee Harvey Oswald acted alone. In a development that could shed new light on the assassination of President John F. Kennedy, a Hollywood movie producer is shopping new, long-hidden footage of JFK’s Dallas motorcade which the producer believes may support the theory that Lee Harvey Oswald didn’t act alone, TheWrap has learned. Stephen Bowen is a successful Texas-based real estate developer who is a principal at Waterstone Entertainment, represented by the Gersh Agency. Bowen acquired the footage from a local Houston television news producer who has held it for more than 40 years, according to an individual involved in the deal. Bowen decided the 50th anniversary of JFK’s death was a good time to bring it to market. Two sources have told TheWrap that Gersh’s Jay Cohen has agreed to broker the deal. The producers have arranged private screenings of the footage for news networks and other interested parties next week in Los Angeles, including CNN, Fox News and Reuters. While it’s unclear exactly what the footage will depict, those familiar with Gersh’s sales pitch say that Bowen believes it may help prove John Kerry and Robert F. Kennedy Jr.‘s recent comments doubting that Lee Harvey Oswald acted alone in the assassination. The majority of the American public’s exposure to the JFK assassination stems from the tape made by private citizen Abraham Zapruder, which Time Inc. purchased, though several frames were subsequently damaged (Time later sold the film back to the Zapruder family).